Brian D. Goodrich concentrates his practice in the area of commercial litigation involving business and real estate disputes as well as trust and estate litigation and general civil litigation. Mr. Goodrich received his undergraduate degree with honors from the University of Florida in 2010. Mr. Goodrich received his Juris Doctor, with honors, from the University of Florida Levin College of Law in 2013. In law school, Mr. Goodrich was a Certified Legal Intern with the Gator Team Child Juvenile Law Clinic, where he provided free legal services to children in both delinquency and dependency matters. Mr. Goodrich also served as a teaching assistant for Trial Practice. Mr. Goodrich is actively involved in the Sarasota County Bar Association, serving as President-Elect of the Board of Directors for the Young Lawyers Division. Mr. Goodrich also serves as Secretary for the Sarasota County Gator Club, volunteers as a judge for Teen Court and serves as a mentor through the Florida Bar Young Lawyers Division mentoring program. 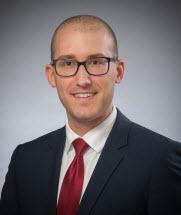 Mr. Goodrich has been recognized as a Florida Rising Star by Super Lawyers magazine for the years 2017 - 2019, an honor received by no more than 2.5% of attorneys in Florida. Successfully rescinded four deeds for properties which had been fraudulently transferred twice since owned by client after two-day bench trial. Obtained a judgment in an airplane negligence case on behalf of Plaintiff in excess of $450,000.00 after two-day bench trial. Successfully represented clients in Department of Business and Professional Regulation administrative proceedings and proceedings before the Florida Commission on Human Relations. Assisted in obtaining favorable judgment in breach of employment contract action on behalf of Plaintiff after bench trial.